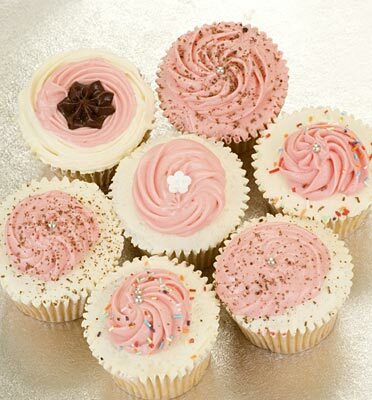 A little bit of 90210 in London..
Who doesn’t love mini-muffins?! I do, I do! 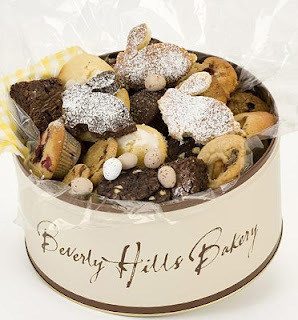 I’ve been dying to do a post on Beverly Hills Bakery (yes, they are located IN London) ever since we received a basket from them when I was in the hospital having Mini AG. This place is absolutely to-die-for-yummy! We received the classic basket which included all sorts of little muffins including; double chocolate, lemon, blueberry, strawberry & white chocolate, carrot raisin, apple & cinnamon and raspberry! It also had chocolate chip, double chocolate and oatmeal raisin cookies. AND, they also included their famous double fudge brownies. This Beverly Hills Bakery also do cakes, cupcakes, and adorable tins- perfect for sending for birthdays, congratulatory gifts, or just if you want to treat your friends to something totally delicious! !